Lindsay Stone from Pittsford Sutherland High School has broken the New York State Record in the 500 yard free – a record that has controversially stood for 22 years. Stone swam a 4:46.80 to clear the old record of 4:46.97 that was previously held by Friends Academy’s Jessica Foschi from 1995. Foschi would go on to be a captain of the Stanford women’s team, where she was an NCAA Champion, Olympic Trials finalist, a National Open Water Champion, and 15-time All-American. Foschi’s swim was very controversial at the time, as the summer before setting it she tested positive for a banned substance. Foschi denied ever taking the substance, and United States Swimming (now USA Swimming) gave her a light “two year probation,” and then reduced it even further so that she could compete at the 1996 U.S. Olympic Trials. The punishment was criticized at a time when the governing body for swimming in the United States “zealously endorsed” two year bans given to Chinese swimmers with positive tests, according to a New York Times article of the day. Foschi blamed the test on either a saboteur with a personal axe to grind or an opponent from another country trying to eliminate the competition. United States Swimming would later vote 2-to-1 that they believed that she was, in fact, the victim of sabotage, but still applied a two-year suspension. In any case, the Foschi record stood until last weekend, where Stone broke it at the New York Section V Championships – propelling herself to the state meet as a favorite. Her team, known as the “Pittsford S’Women” also won their 15th consecutive Section V championship title at that meet. Lindsay has been a member of the team for six of those years. 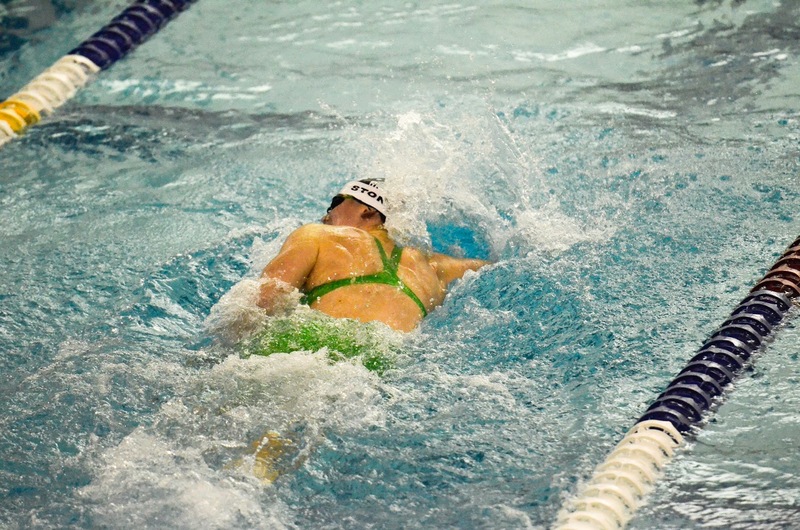 Lindsay also holds two other state records as part of the 200 and 400 freestyle relay teams that broke those previous records at the 2015 NY State Championship meet along with Katie Smith (now at Notre Dame as a freshman), Emma Corby (senior, verbally committed to swim for UConn next year) and Becca Evans (a junior). Katie Smith was the previous 50 yard free New York State record holder until Kate Douglass broke that record at her sectional meet earlier this week. Lindsay will sign her National Letter of Intent to swim for the University of Notre Dame this week. 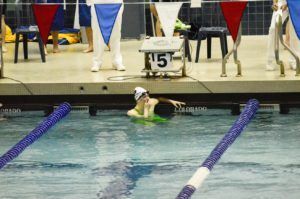 She is coached by Marty Keating through high school and also club team PACK Swim Team of Pittsford. At least two other State Records were broken over the weekend. 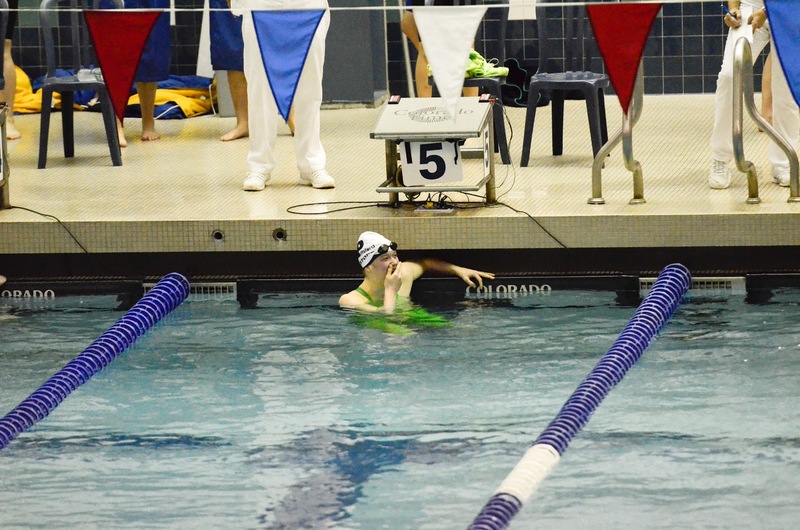 Both went to Pelham sophomore Kate Douglass, who in the Section I Championships broke the State (and National Age Group) records in the 50 free (22.32); and again in the 100 free (48.99) in a relay leadoff. Bridget Stone contributed to this report. Foschi tested positive at US Nationals summer before setting the NY State Record in 1995, not the summer after. Foschi has the biggest tinfoil hat ever.